A new add for a pair of Nike Total 90 Laser 3 soccer "football" cleats has taken a great idea and made it into a potential Soccer ExerGame. We have seen similar large scale projects from Floyd's Exertion Interfaces, and the Football Hero project featured previously, but this one might make it commercially or at least in some playground (training) facilities. Of course the matter-pulverizing lasers is a little over the top, but I would think a series of lasers as projected in the commercial is totally plausible. Here is the latest video game study that discusses the changes to the striatal volume while learning how to play a novel video game. Both ventral and dorsal striatal volumes predicted early acquisition rates but hippocampal volumes did not predict learning improvement. Video game skills transfer to other tasks, but individual differences in performance and in learning and transfer rates make it difficult to identify the source of transfer benefits. We asked whether variability in initial acquisition and of improvement in performance on a demanding video game, the Space Fortress game, could be predicted by variations in the pretraining volume of either of 2 key brain regions implicated in learning and memory: the striatum, implicated in procedural learning and cognitive flexibility, and the hippocampus, implicated in declarative memory. We found that hippocampal volumes did not predict learning improvement but that striatal volumes did. Moreover, for the striatum, the volumes of the dorsal striatum predicted improvement in performance but the volumes of the ventral striatum did not. Both ventral and dorsal striatal volumes predicted early acquisition rates. Furthermore, this early-stage correlation between striatal volumes and learning held regardless of the cognitive flexibility demands of the game versions, whereas the predictive power of the dorsalstriatal volumes held selectively for performance improvements in a game version emphasizing cognitive flexibility. These findings suggest a neuroanatomical basis for the superiority of training strategies that promote cognitive flexibility and transfer to untrained tasks. For the fixed priority group, subjects were always asked to maximize the Total score during training and were reminded that Total score was the sum of the Control, Velocity, Speed,and Points sub-scores. This resulted in 20 assessments of performance over the training period. Participants in the fixed priority group were told to emphasize each of these subcomponents of the game equally. They completed 5 blocks of 6 trials each. For the variable priority group, participants were asked to focus their resources on improving and monitoring different sub-scores of the game during the 30 practice games. They were given 5 blocks of 6 trials each, in which they were asked to emphasize a particular aspect of the Space Fortress game, and this emphasis changed every 6 trials. The WIN Human Recorder Co Ltd, was unveiled as a way for companies to monitor their employees’ health from their home. This MacGyver / Swiss Army of health monitors has so many features including…take a big breath: EKG, brain waves, tri-axial accelerometer, galvanic skin response (GSR), skin temperature, and it can even start your coffee for you in the morning…..ok maybe not the last one. It is a multi-assessment tool (like the BodyMedia Armband / Body Bugg / Ki ) and will go on sale in Japan first at the odd price point of $331 but will also have a $110 monitoring service contract. Definitely not for the budget minded calorie / activity counter but does advance the field of health monitoring and data acquisition. I do have one concern in that the units require those small CR2032 pill batteries. 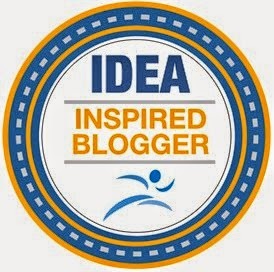 Why not use a typical battery or have a self-charging base like the Fitbit – featured in a previous post? The newly released device, which goes by the name of 'HRS-I' is designed to measure and record a person's electro-cardiographic signals, body surface temperature and overall body movements. The tiny unit can easily be worn under your shirt as you attend to your daily business. The device communicates wirelessly with a remote base and can last on a single charge for up to three days. Targeted toward companies working to monitor employee health, the HRS-I can be purchased for $331 and the monitoring service costs $110 per month. In the service, health-related information is collected and analyzed by a small sensor attached to a human body, and it is viewed and managed on a mobile phone or a PC. The company commercialized the health monitoring system, which is called "human recorder system," based on the research results of the Advanced Institute of Wearable Information Networks (WIN), a nonprofit organization established by researchers at the University of Tokyo. WIN is a group led by Kiyoshi Itao, professor emeritus at the university, Tech-On states. The sensor is used to measure electro-cardiographic signals, heart rate, brain waves, accelerated velocity, body temperature, respiration, and pulse wave. WIN helped develop, for example, a program to analyze each data and determine health condition. The dimensions and weight of the sensor module are approximately 30 (L) x 30 (W) x 5mm (D) and 7g, respectively. Because of the small size and the light weight, the module does not give uncomfortable feeling when attached to a human body, the company said. The sensor module has a 2.4GHz wireless communication function and can be continuously operated for three to four days with a CR2032 button battery. Because the obtained data can be wirelessly transmitted to a PC or a mobile phone, it is possible to monitor the health condition of an elderly person who lives alone in a remote place via the Internet. Airstrip – real-time EKG, vitals to iPhones, BlackBerrys and Windows Mobile smart phones. Poll: How many of the 24 ExerGame Bikes profiled at http://tiny.cc/ExerGame_Bike have you seen previously? How many of the 24 ExerGame Bikes profiled at http://tiny.cc/ExerGame_Bike have you seen previously? This is the Penultimate guide to ExerGame Biking. Whether you want to hack your wheels to work with your PC, PS2, PS3, Xbox, Mac or you prefer to buy a commercially available one, there are certainly lots of choices. Scroll through to see the only place to find them all corralled in one place…the ExerGame Lab blog - Giddy up! If I’ve missed anything, please let me know at exergamelab AT gmail DOT com. Have a great weekend and if you haven’t already done so, please consider giving to the rescue efforts in Haiti by donating to your favorite charity including the Red Cross. Hack #1: Project Excite Bike is a home brew project putting an old bike together with an Xbox 360 to play more than just racing games. They are apparently going to release the schematics and software so that you can do it yourself (DIY) so check back in a bit. Hack #4: Using an Ubuntu-based laptop that is wired up to an Arduino, this group of hackers wanted to show how you keep it green by pedaling for your bits and bytes (internet flow). Hack #5: CycleScore is a MIT student project that tied a Precor bike to some software built on motivational principles intending to keep you focused on specific task while pedaling your way through the game. I’m not sure if they have commercialized this yet or if they are working with any other companies. Hack #6: Heart Burn is a research paper and project that demonstrates heart-rate scaling on a exergame bike project by a Queen’s University and UVIC research group. To read more on the Heart Burn project, click here. When two players are playing cycling games where the speed of the cycling is tied to the speed of the game vehicle or person (truck, car, bike, etc..), the player who is more fit will always have an advantage over the less-fit player.Using logarithmic scaling of heart-rate response while playing, they were able to show two players of different fitness levels in a close competition using recumbent bikes hooked via the internet. Heart Burn from tstach on Vimeo. Hack # 7: Grand Theft Bicycle. is a game-installation by Steve Gibson, Justin Love and Jimmy Olson. Taken from an earlier post on my blog: “Now, for those not interested in a robot as a fitness leader, Grand Theft Bicycle is a PC hack based on GTA codes but re-worked so that the two competing gangs represent world leaders (Obama,Blair, Harper & Allis vs bin Laden, Hussein, and Jong-Il). Pedaling on the Borgcycle pedals your character's bike through "Bagdad" city and you use the controls mounted on the handlebars to jump and shoot your way to political and terrorist nirvana.” To read more on the Grand Theft BikExergaming, click here. Hack #8: The Future of Exercise – a University of Victoria Computer Science project supported by Microsoft Research & LeMond Fitness. Created by three students (David Whittaker, Wes Alcock and Ryan Williams) along with Bruce Gooch their supervisor, this team took a $2500+ LeMond G-Force recumbent bike and converted it to a PC game controller for racing games and MS Flight Simulator X with heart-rate parameters embedded on-screen. Now, if you have some money to spend or you are a school looking to upgrade your fitness equipment, there are plenty of choices to look at and get sweaty. It all depends on what floats your boat. Some of these bikes will be Movement Mediated Gaming (Gamercize), others will be Speed Mediated Gaming (eXerbike, GameBike) while others will be Non-Mediated Gaming (FXB). If I’ve missed anything, please let me know at exergamelab AT gmail DOT com. Product #1: NeuroActive BrainBike designed by Motion Fitness, uses a high-end recumbent bike loaded with a pc, Gamercize's "patented response technology", and brain training software by NeuroActive. Essentially you will need to pedal to play any of the brain-training games (via arm supported mouse table) that works on 16 different brain functions (processing speed, selective attention, math skills, and visuo-spatial skills to name a few). If you stop pedaling, the games are paused until you start pedaling again. This is one of the only Movement Mediated Gaming devices on the market as your game avatar/character/vehicle is not tied to the speed at which you pedal. Product #2: Cyberbike is a new European software (Cyberbike Cycling Sports) and bike from Big Ben Interactive exclusively for the Wii. Riding in this new planet Cyclo, you travel on the ground, in the air, and under water to collect the elements that are polluting planet Cyclo. PEGI: 3+ rating for up to 4 players and the bike peripheral is compatible with other racing games and capable of back pedaling and braking. Product #3: Dogfight Interactive Flight Simulator is a full featured flight simulator interfaced with a high end exercise bike. The players propels the plane by pedaling and controls it by pushing and pulling on the spring loaded side handles. Product #4: eXerbike is an exergame bike that hooks up to a PS2 designed by Motion Fitness and Hoggan Health. Steer with the handle bars and peddle as fast as you can to beat your opponents and if that’s not enough you can turn up the resistance to make it even harder. Prices: Pro $3000; Junior $? Product #5: Expresso – is a networkable Virtual Trainer that takes you on races or pelotons, throughout the world’s best courses and mountain climbs. I think the fact that most Expresso bikes are connected to Expresso servers is a huge advantage over other products. It runs on a PC platform and you can also watch TV or surf the internet on most of these units. There is a kids model as well as adult models. Product # 6: FXB – the Fun Exercise Bike has no controls over game play in that it is neither speed-mediated nor movement mediated – all it serves is a place to cycle while playing racing games like Mario Kart. 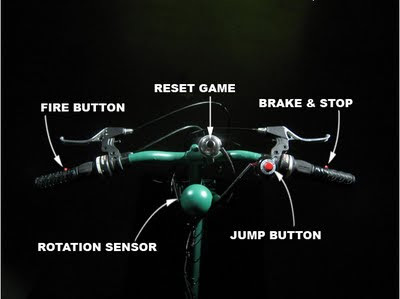 Product #7: GameBike (formerly Cateye now through Source) works with any game console. Steer with the handle bars and peddle as fast as you can to beat your opponents. Product #8: GameCycle is a hand ergometer adapted to use as a game-controller. What I think is great is that the cranking can be easily set to be reciprocal (asynchronous cranking) or non-reciprocal (synchronous) depending on the ability of the player and the therapeutic requirements. There’s also a great list of research benefits from using the GameCycle available here. Product #9: Gamercize has a range of products for the home or gym but they all have patented technology that makes this company unique. GZ units are compatible with all game consoles and PC’s and the technology works so that when you stop pedaling, your game goes into pause mode. In order to play whatever game you want, you just have to start pedaling again. Richard’s unofficial philosophy is to let kids play as much as they want as long as they want, so long as they use the GZ device. Instead of a speed mediated gaming device where only racing games and simulators are most effective, you can effectively play any of the 1000’s of game titles available with much less sitting around. Last year they released a 3-in-1 Family Fun unit that is a recumbent bike, a rowing machine, and a Gamercize unit all built into one package. Granted you cannot game while rowing, but at least there's an option for more than one activity unlike the rest of the devices. WIBC - It would be really cool to try to put a unit together somehow with switches on the rowing handle and maybe some switches on the heel cradle footboard. Product #10: PC GamerBike (The MagneTrainer) looks to be the latest generation of the Neo-Racer which is no longer available. You can play your favorite racing games, FPS, MMOG, SL, or even their own software Island Works. Product #11: Nextfit MOG – was a dynamo of a bike trainer which features variable resistance, and haptic feedback in three points (handlebar, seat, and pedals) to get a feel for the road. Can be used on PC, PS2, Xbox, and most likely on the newer generation platforms as it connects via USB. You can even do LAN parties with up to 8 bikes connected. Navigation and game controls are built in to the handle bars. This is the Cadillac of GameBikes; however it is no longer available. Prices: MSRP $2500. 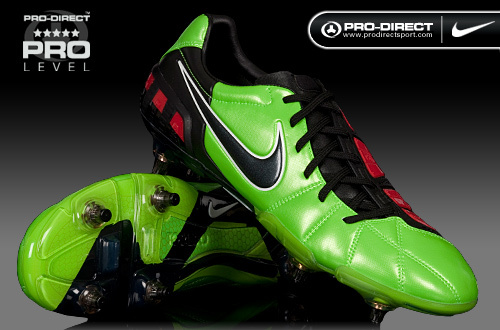 Used from New Zealand currently in online auction and available for $795. Product #12: Qmotions FunFitness Full Motion Game Controller is an interface between your game console (PS2 or Xbox) and your home exercise bike. Prices: $95 cycle, $40 for SimCycle Gamebox to use with PC games. Product #14: Tacx Virtual Reality Trainer – a bike trainer is required for this package but besides multiplayer online races you can also work on your time trials from the comfort of your own home. Product #15: Trixter – Xdream bikes is the latest in the line of spinning cycles built to interact with PC racing software. It is also the “only interactive bike on the market which includes fully independent and analogue control brakes.” What I love about these bikes is the ability to stand up (like a spinning bike) and the independent steering / twisting actions afforded by the X-Bars arc motion and spring mechanism design. Product #16: VCycling is a virtual reality system that licenses the hardware and software from Tacx and targets the schools and clubs as opposed to the competitive cyclist. I remember getting a demo from Buzz on their earlier system at least 4 years ago and I was impressed with the Tacx gearing and software. Heart Burn is a research paper and project that demonstrates heart-rate scaling on a exergame bike project by a Queen’s University and UVIC research group. Problem: When two players are playing cycling games where the speed of the cycling is tied to the speed of the game vehicle or person (truck, car, bike, etc..), the player who is more fit will always have an advantage over the less-fit player. Solution: Using logarithmic scaling of heart-rate response while playing, they were able to show two players of different fitness levels in a close competition using recumbent bikes hooked via the internet. My Question: If the scaling is applied using their 3 levels: base performance of target heart-rate, scale logarithmically, add nimbleness factor…could it be possible for a HIGHLY trained cyclist to always dominate because her/his fitness level (VO2 Max) and mechanical efficiency will enable her/him to always win; especially given the results they reported of when players are of similar levels of fitness, the scaling was less effective. Stach, T., Graham, T. C., Yim, J., and Rhodes, R. E. 2009. Heart rate control of exercise video games. In Proceedings of Graphics interface 2009 (Kelowna, British Columbia, Canada, May 25 - 27, 2009). ACM International Conference Proceeding Series, vol. 324. Canadian Information Processing Society, Toronto, Ont., Canada, 125-132. Exercise video games combine entertainment and physical movement in an effort to encourage people to be more physically active. Multiplayer exercise games take advantage of the motivating aspects of group activity by allowing people to exercise together. However, people of significantly different fitness levels can have a hard time playing together, as large differences in performance can be demotivating. To address this problem, we present heart rate scaling, a mechanism where players' in-game performance is based on their effort relative to their fitness level. Specifically, heart rate monitoring is used to scale performance relative to how closely a person adheres to his/her target heart rate zone. We demonstrate that heart rate scaling reduces the performance gap between people of different fitness levels, and that the scaling mechanism does not significantly affect engagement during gameplay. For more information on other exergame bike projects and products, be sure to check the Bike link in this blog archive. The Brain Bike also just started shipping so check back for more details. 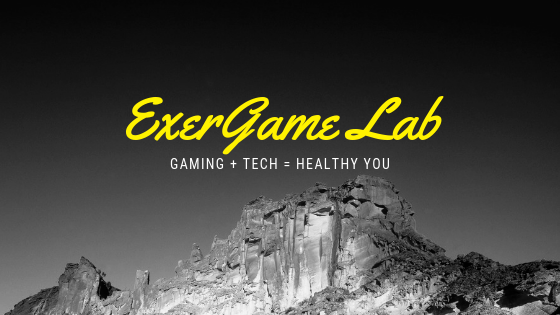 If you need more information on the research and partnerships being created in the ExerGame Lab, please contact Stephen Yang at exergamelab at gmail dot com. EXCLUSIVE to the ExerGame Lab: I just heard from Sqweeze CTO & Co-Founder Greg Merril about their newest PC based fitness product. It takes some of the former IA Labs Wii Sqweeze prototype and then adds a wireless controller (via USB) to play several in-house created games (featured in an earlier ExerGame Lab post). 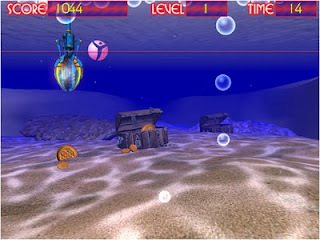 Some of the games will take advantage of the accelerometer (2 or 3 axis) for the more aerobic-natured tasks (running, twisting/rotating) while the other games will work on the upper-body or lower-body to compress the potentiometer and interact with the games (bursting bubbles, shooting a bow and arrow, shooting, etc…). Determining a player’s True Fitness Age (TFA) is something the company wanted to integrate, similar to the Wii Fit Age. The idea is that you can take the TFA tests at any time and I assume the results will be based on the true force applied to the Sqweeze. I’m wondering if there are different TFA tests to take and then the score is aggregated (ex. pecs, legs, triceps…)? As in my earlier post about a virtual trainer (EA SPORTS Active Virtual Trainer as good as a qualified personal trainer?) , Sqweeze will also have a personal trainer to take you through your daily personal exercises and games to achieve your goals. In my mind, this fitness programming will be crucial to the success of this product. As exergames go, Wii Fit has really shown us how important stickiness is. Wii Fit worldwide sales (22 million) Wii Fit Plus (8 million). Sqweeze & Move to Better Health! Sqweeze is a new way to get a body shaping, calorie burning workout. Using new technology developed specifically for computer interactive exercise, the Sqweeze device let’s user play games online while getting fit! Now you don’t even have to leave your computer to get in shape. The Sqweeze device wireless connects to your computer and requires virtually no setup. You’ll be able to select your own personalized virtual trainer to help you navigate through the website, play games and workout with you. All of your progress is tracked whenever you run the Sqweeze program so you can see your progression over time. You can take the Sqweeze fitness tests whenever you want to find out your “True Fitness Age” (TFA). Each day your trainer creates a new workout routine personalized just for you and your goals. For more information, be sure to check the Sqweeze link in this blog archive. If you need more information on the research and partnerships being created in the ExerGame Lab, please contact Stephen Yang at exergamelab at gmail dot com. EA SPORTS Active Virtual Trainer as good as a qualified personal trainer? I’ve used W** Fit & EA SPORTS Active for a while and my students have been using it in class as well, but I’ve always understood the mission of EA SPORTS Active as a supplement or a starter/primer/gateway to a more traditional exercise routine. In our classes we use it as a reward for good behavior or mastering established in-class goals and objectives. However, the more I look at Nintendo’s advertising and in-game writing, I think they are sending out conflicting messages. Just like a personal trainer at the gym, EA SPORTS™ Active's Virtual Trainers help guide you through exercises one step at a time. Whether you need pointers on proper form or just some encouragement during your home workout, the Virtual Trainer keeps you on track and motivated. Exercise from home and stay fit with EA SPORTS™ Active on Nintendo Wii. I do really like the group workout modes as you can do exercises together or ramp up the level a bit with competitions. The socialization factor has to be a big part to any exergame success as it has the transformative power to bring people together and to be done in multiple environments (home, school, community, online…). I was recently interviewed by Ryan Smith of the Chicago RedEye (Chicago Tribune) for his piece Get digital: Are workout video games as good as the gym? and told him that it’s important to distinguish between the game as gateway to a healthier lifestyle but not necessarily a “replacement” to a qualified personal trainer.. While exergames can be helpful in small doses, they are not meant to be replacements for professional trainers who can monitor fluctuations in an individual's body fat and heart rate and modify routines to make them more effective, according to exergame researcher Dr. Stephen Yang of the State University of New York-Cortland. "They definitely aren't a magic pill to good fitness," Yang told RedEye. "I see these as gateway games. ... They can help you be confident enough to play a real sport or go to a gym." We're also not recommending, "Hey, go ahead and throw away your gym membership." It's great for some, but it's really great if you supplement it with going to the gym. Whatever their view of their “Virtual Trainer as a replacement”, they’ve had a great 8 month period with about 2.5 million units shipped worldwide (Via VGChartz). I think it’s a great product and you can tell how much work they put into the programming and refinements. I think the natural evolution is to use a webcam (Your Shape or other) to be able to network online with a real trainer or class. Currently Befitt and others have been doing online fitness sessions using Second Life and other technologies, but I don’t think anyone has been doing EA Active online with a webcam. Is that true Kathryn? Do you know of any? Note #1 – Isn’t it cool to be able to say that I was interviewed by a guy who also interviewed Bob Greene – that means I am only 2 degrees of separation from all the celebrities Bob has met and worked with…cool! Note #2 – I just noticed the fine print from some of EA Active’s ads where it says in small font “Actual EA SPORTS Active users. Individuals remunerated”. Is this a new practice or has EA always included this passage. I wonder if it has to do with the new FTC policies regarding disclosures. Any word from EA Active Twitter Trooper Kathryn (http://twitter.com/Active_Girl) would be greatly appreciated. Note #3- Nintendo of America has provided a list of games they aren't shipping anymore. Get them while they last and don’t forget to search the bargain bins. Always goodies to be found. Erez Bar Am, an Industrial Design graduate from Shenkar College for Engineering and Design, Israel, conceived the “Radio Active” and I think it’s a neat way to get us up off the couch. According to the description, its an analog radio which requires you to physically move its strings in order to turn up the volume or change the station. Wouldn’t It Be Cool (WIBC) to have solo, dual, group and even competitions of radio tuners. Imagine people tuning music and not just radio signals to put a song together or to even a musical throw-down competition. I’ve been playing with a few music apps on my IPod that allow you to put tracks together by throwing down, looping and sound efx. Check out GrooveMaker or Computer Music. Unlike a Wiimote or Sixaxis controller, the TrueMotion controller operates within a weak magnetic field rather than relying upon accelerometer technology. The degree of accuracy falls to the nearest millimeter, and is updated once every ten milliseconds. This results in a fluid, highly accurate input device that could revolutionize PC and console gaming, as well as lead to some fascinating applications in the engineering design, industrial and medical fields. Using a single transmitter with a six-foot radius range, Sixense TrueMotion can detect the position and gesture movement of controllers without a line-of-sight limitation. As long as the controllers are within the 12 foot diameter spherical magnetic field, it can detect their movement in space along six axes—a Sixense rep proved this by controlling a second tech demo with one hand behind his back. The control set up that Sixense had implemented at Razer's CES booth used the left-handed TrueMotion controller for much of what the left hand side of a keyboard or controller would do. Angling the controller downward crouched, a flick upward performed a jump, a push forward shoved. It was also used to toss grenades. A flick of the controller left or right cycled through weapons, and after choosing the grenade, an overhand toss motion tossed that equipped item, in my case Boomer Bile. The right hand controller controlled firing, camera control and melee weapon swings. It was a bit awkward at first, particularly for camera control and aiming, as Left 4 Dead 2 wasn't built with something like Sixense control in mind. But Valve has clearly been impressed by the technology, vowing support for TrueMotion controllers in games using its Source engine. Regardless of the learning curve, the motion control felt spot on, quick slices with the controller resulting in accurate slices on screen.